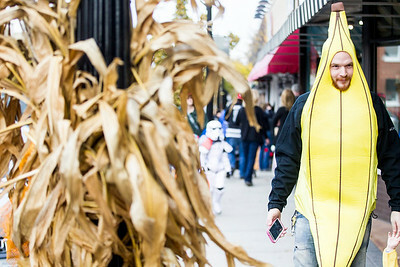 Sarah Nader- snader@shawmedia.com Dressed as a banana Taylor Kuhlman of Crystal Lake walks along North Williams Street during the annual Halloween Handout in downtown Crystal Lake Monday, Oct. 31, 2016. 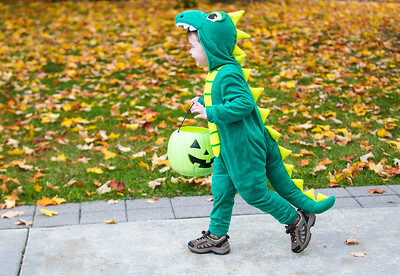 Sarah Nader- snader@shawmedia.com Dress as a dinosaur LJ Gaughram, 2, of Crystal Lake runs down North Williams Street collecting candy during the annual Halloween Handout in downtown Crystal Lake Monday, Oct. 31, 2016. 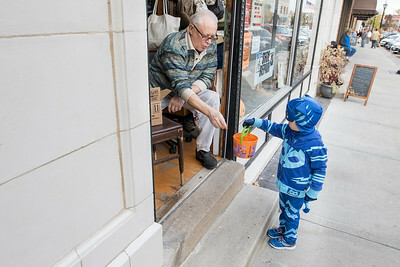 Sarah Nader- snader@shawmedia.com Alex Reznik (left), owner of Shoe Repair, hands candy to Johannes Johnson, 3, of Island Lake during the annual Halloween Handout in downtown Crystal Lake Monday, Oct. 31, 2016. 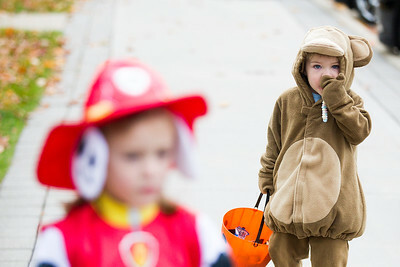 Sarah Nader- snader@shawmedia.com Dressed as a monkey Jake Hunter, 2, of Lakewood walks along North Williams Street eating candy during the annual Halloween Handout in downtown Crystal Lake Monday, Oct. 31, 2016. 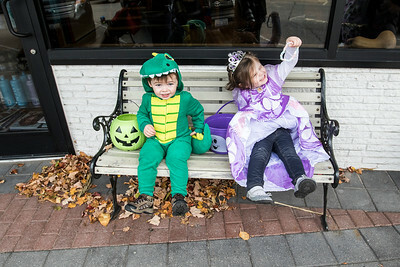 Sarah Nader- snader@shawmedia.com LJ Gaughran (left), 2, of Crystal Lake and his sister, Addison Gaughran, 4, collect candy during the annual Halloween Handout in downtown Crystal Lake Monday, Oct. 31, 2016. 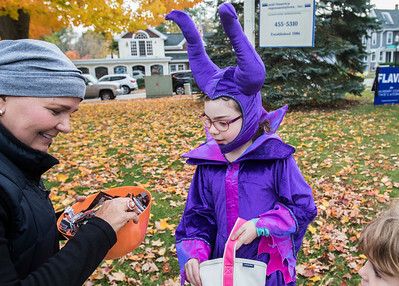 Sarah Nader- snader@shawmedia.com Amy Odom (left) hands candy to Addison Krallitsch, 9, of Crystal Lake collects candy along North Williams Street during the annual Halloween Handout in downtown Crystal Lake Monday, Oct. 31, 2016. 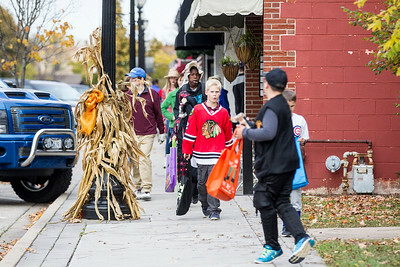 Sarah Nader- snader@shawmedia.com Children pack downtown Crystal Lake during the annual Halloween Handout Monday, Oct. 31, 2016. Dressed as a monkey Jake Hunter, 2, of Lakewood walks along North Williams Street eating candy during the annual Halloween Handout in downtown Crystal Lake Monday, Oct. 31, 2016.